Talk Dance is a podcast series devoted to in-depth conversations with dance artists produced and hosted by local dancer, educator, and commentator Justin Jones. 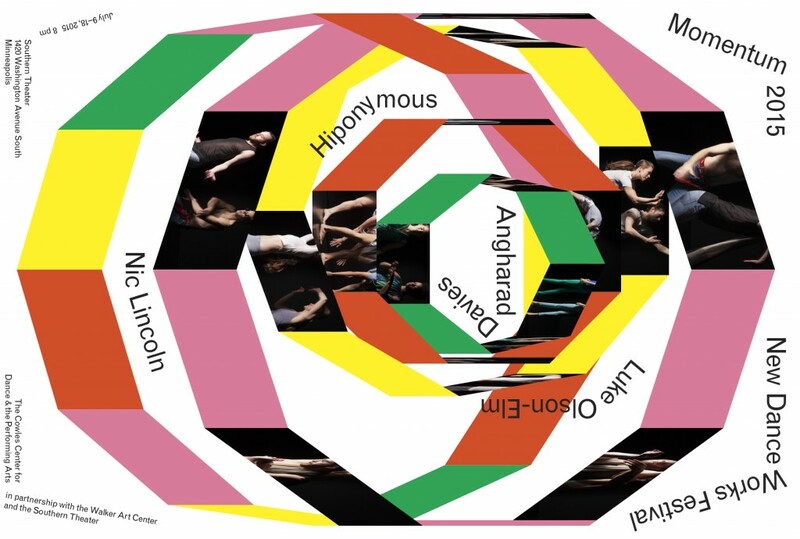 In this installment, Jones speaks with Hiponymous, Angharad Davies, and Nic Lincoln, whose works will premiere in Momentum: New Dance Works July 9-18, 2015 at the Southern Theater. You can find the podcasts on the Walker Channel. Momentum: New Dance Works is a big deal. Many emerging choreographers apply and a panel reviews and selects just 4 applicants to participate. If your work is chosen, three major performance venues (Cowles Center for Dance/ Southern Theater/ Walker Art Center) and one major funding organization (Jerome Foundation) enthusiastically support your work with time, space, money, expertise, production, feedback, career development opportunities, and publicity. Many choreographers who’ve come through Momentum have gone on to become major voices in the dance community locally and nationally. When interviewing the Momentum choreographers about their upcoming shows I asked them what being a part of the program means to them. Interviewing these artists about their upcoming shows at the Southern Theater was great fun. What was most exciting to me was learning that each of the artists are exploring new territory in their work. Hiponymous expanded their collaboration to include two composers, a costume designer and a host of voice actors. Nic Lincoln is creating his first choreography for an all male cast, and Angharad Davies is making a dance that is more, “internally driven and focused” than her previous work. Making new work for an opportunity that is as big a deal as Momentum is, it might be easy to “do what you know.” I commend the choreographers for going beyond and taking the generous support of the Cowles, Jerome, the Southern, and the Walker to explore new territory. If you missed the first weekend, go now and get your tickets for week two. Momentum: New Dance Works 2015 continues this Thursday through Saturday, July 16-18, at the Southern Theater.